By performing a number of tests on the alternate seals, a number of potential problems quickly came to light. 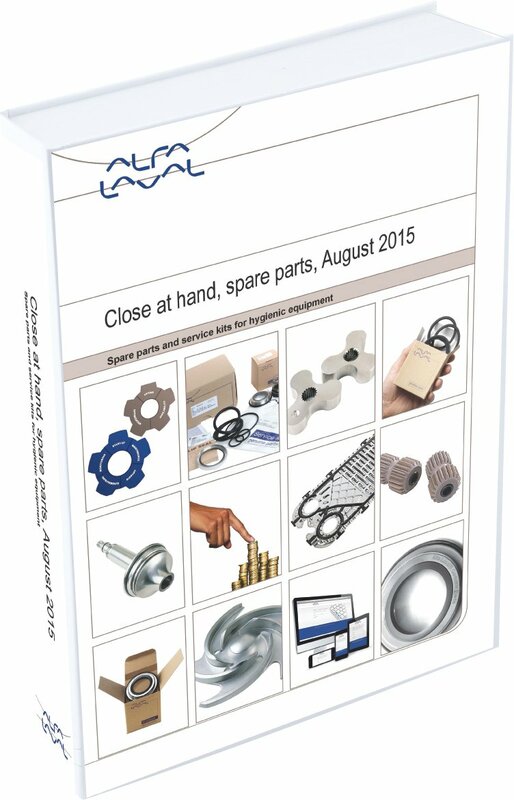 Recently, an external team tested five different sets of look-alike parts on behalf of Alfa Laval. The team review consisted of tests on the static face holder, static face insert, static face O-ring, rotary face, rotary face O-ring and coil spring. Fitment and pressure testing were also performed. 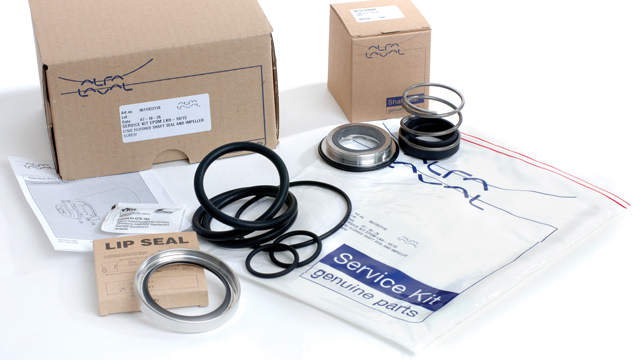 The studies revealed that no seal was machined to Alfa Laval’s exacting standards. In fact, important deviations were uncovered for each model that could make a negative impact on performance and reliability, ultimately subjecting users to higher risk of equipment damage. The first parameter examined was the static face holder. It was found that the alternate parts were machined in a variety of materials that deviate from the genuine Alfa Laval part. These included a variety of different materials, including AISI 316 stainless steel, which is two grades off from the genuine Alfa Laval part; AISI 304, which is one grade off from Alfa Laval; austenitic stainless steel: AISI 321, which is a titanium stabilized ANIS304; and a non magnetic material indicating 316 steel or similar. The main issue plaguing these various materials is that each is too similar to the material of the back plate, resulting in a high potential risk for seizure when being fitted. In addition, the thermal expansion coefficient for the various materials is greater for than the duplex stainless steel currently used by Alfa Laval. Applied temperatures will create a greater change of flatness than the original material. The static faceholder’s material could also be a low quality stainless steel with inferior corrosion resistance as compared to the AISI 316L material used within the pump. They also tested the surface finish of the static face holders. While several were within range or only slightly above the 3A standard used by Alfa Laval, tests on several others showed the surface finish on the wetted surfaces to be above the specification for centrifugal pumps. One was as high as Ra 1.5, well above the 3A standard. This increased surface finish could reduce or possibly even eliminate the mechanical seal’s ability to be cleaned properly. On two of the five static face holders, fitting tool slots were incorrectly machined. This led to not being able to use the fitting tool during fitment of the shaft seal to the back plate. In another instance, a poor dimension only allowed the fitting tool to be fit halfway due to poor to generous radiuses in the machined corners. The testing team also examined the static face inserts. Only one of the inserts featured the proper sintered silicon carbide. The other four used a reaction-bonded silicon carbide in lieu of the original material. Reaction-bonded silicon runs the risk of a chemical reaction when processing caustics and other alkalis. In addition, corrosion could happen when exposed to common cleaning agents that are caustic (such as NaOH and other similar agents). Next, the testing team looked at the quality of the static face O-rings. Several of them were found to be a bit outside tolerance, but the deviance from specification in these particular examples will probably not affect their performance. 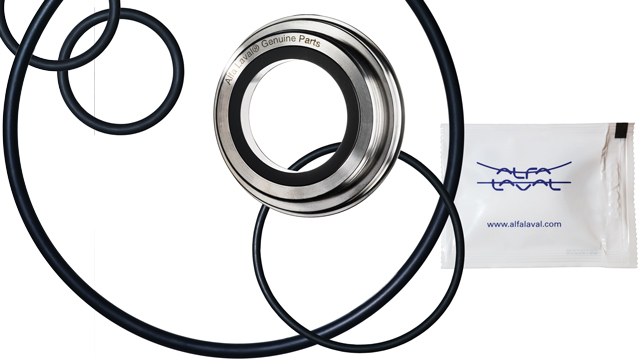 However, another manufacturer chose to deviate from the original design and used a PTFE gasket instead of the O-ring. While the gasket has superior chemical resistance, it will suffer from compression set and eventually cause a leakage. Here, the testing showed significant deviation from the original Alfa Laval part. Manufacturers machined the part using carbon, but press fitted it into a stainless steel holder (one used AISI 304, another was a material better than 304 but not as good as 316). The difference in the thermal expansion coefficient is greater than for the carbon insert. Applied temperatures will cause change of flatness. Testing of the rotary face o-ring yielded some different results than the genuine Alfa Laval part. One manufacturer’s o-ring cross-section was measured at 3.41 – 3.46 mm below tolerance. Because it is below tolerance, it could cause eventual leakage. In addition, the O-ring of another manufacturer revealed a bad joining. This poor joining could also cause leakage. In these tests, again, several of the manufacturers had issues. On one spring, the inner diameter was slightly tight on the spigot diameter of the carbon rotary face; on another it was significantly too tight. This could subject the carbon rotary face to excessive stresses resulting in a surface which is not flat - and subsequent leakage. Tests again revealed some negative results. On one, the static face seized when being fitted to the pump back plate. This was due to the poor machining of the thread and poor material choice. The pump back plate was damaged, requiring finishing of the thread. Another one had a slight feeling of seizure, again due to the poor material choice. The other three had the possibility of seizure, but it did not occur. Due to seizure, the test could not be performed on several of the parts. When possible, the testing team performed a pressure test in which the shaft seal was pressurized with 4 bar static pressure, using tap water at 20° C. Leakage was detected as drips occurred. In another, the shaft seal leaked through the dynamic O-ring. This was due to poor machining of the rotary face inner diameter. A pressure test on another example demonstrated a leakthrough the seal faces. In this case, the leakage was likely due to the poor sealing surface flatness. 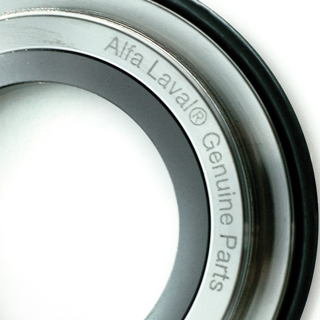 Each test yielded some unsatisfactory results as compared to the genuine Alfa Laval part. By selecting a replacement part manufactured by an alternative company, users may be putting themselves at risk of equipment damage and downtime.